This paper analyzes the end-to-end delay of EtherCAT-based control processes that use the events of message frames and global clock for synchronized operation. With the end-to-end delay defined as the time interval between the start of a process cycle and the actual input or output, we develop a holistic delay model for control processes in EtherCAT, by taking into account the time for in-controller processing, message delivery, and slave-local handling. Based on the measurements from a real EtherCAT control system, we discuss the average and deviation of the process delay as we vary the number of slaves and process cycle time. The experiment results show that the output delays are mainly increased by the average controller delay, whereas the input delays are more affected by the deviation rather than the average of the controller delay. Our in-depth analysis on the controller reveals that DMA time chiefly enlarges the controller delay for increasing number of slaves, while task release jitter is the main cause of the increased delay for longer cycle time. The presented delay model and evaluation results can be essentially used for the design of EtherCAT-based automation that requires highly synchronized operations, such as for coordinated motion and high-precision data sensing. M. Felser, "Real Time Ethernet: Standardization and implementations," in Proc. of International Symposium on Industrial Electronics, pp. 3766–3771, Jul. 2010. F. Benzi, G. S. Buja, and M. Felser, "Communication architectures for electrical drives," IEEE Trans. Industrial Informatics, vol. 1, no. 1, pp. 47–53, Feb. 2005. EtherCAT Technology Group, EtherCAT: Ethernet for control automation technology. [Online]. Available: http://www.ethercat.org. K. Kim, M. Sung, and H.-W. Jin, "Design and Implementation of a Delay-Guaranteed Motor Drive for Precision Motion Control," IEEE Trans. Industrial Informatics, vol. 8, no. 2, pp. 351–365, May 2012. J. Jasperneite, M. Schumacher, and K. Weber, "Limits of increasing the performance of Industrial Ethernet protocols," in Proc. 12th IEEE International Conference on Emerging Technologies and Factory Automation, pp. 17–24, Sep. 2007. G. Prytz, "A performance analysis of EtherCAT and PROFINET IRT," in Proc. 13th IEEE International Conference on Emerging Technologies and Factory Automation, pp. 408–415, Sep. 2008. L. Seno, S. Vitturi, and C. Zunino, "Real Time Ethernet networks evaluation using performance indicators," in Proc. 14th IEEE International Conference on Emerging Technologies and Factory Automation, pp. 1–8, Sep. 2009. R. Ramesh, S. Jyothirmai, and K. Lavanya, "Intelligent automation of design and manufacturing in machine tools using an open architecture motion controller," Journal of Manufacturing Systems, vol. 32, issue 1, pp.248–259, Jan. 2013. J. Schacht, J. Sachtleben, H. Jensen, U. Stutz, and M. Wiese, "Piezo-valve controller for the gas inlet system of the fusion experiment Wendelstein 7-X," Fusion Engineering and Design, vol. 87, issue 12, pp.1961–1966, Dec. 2012. S. G. Robertz, R. Henriksson, K. Nilsson, A. Blomdell, and I. Tarasov, "Using Real-Time Java for Industrial Robot Control," in Proc. of 5th Int. Workshop on Java Technologies for Real-Time and Embedded Systems (JRTES), pp. 104–110, Sep. 2007. P. Ferrari, A. Flammini, D. Marioli, and A. Taroni, "A Distributed Instrument for Performance Analysis of Real-Time Ethernet Networks," IEEE Trans. Industrial Informatics, vol. 4, no. 1, pp. 16–25, Feb. 2008. M. Cereia, I. C. Bertolotti, and S. Scanzio, "Performance of a Real-Time EtherCAT Master Under Linux," IEEE Trans. Industrial Informatics, vol. 7, no. 4, pp. 679–687, Nov. 2011. IgH EtherCAT Master for Linux. [Online]. Available: http://www.etherlab.org. E. Tisserant, L. Bessard, and M. de Sousa, "An Open Source IEC 61131-3 Integrated Development Environment," in Proc. 5th IEEE International Conference on Industrial Informatics, pp. 183–187, Jun. 2007. G. Cena, I. C. Bertolotti, S. Scanzio, A. Valenzano, and C. Zunino, "Evaluation of EtherCAT Distributed Clock Performance," IEEE Trans. Industrial Informatics, vol. 8, no. 1, pp. 20–29, Feb. 2012. IEC 61131-3: Programmable Controllers - Part 3: Programming Languages, 2nd Ed., IEC Std., 2005. C. Gerber, S. Preusse, and H.-M. Hanisch, "A Complete Framework for Controller Verification in Manufacturing," in Proc. 15th IEEE International Conference on Emerging Technologies and Factory Automation, pp. 1–9, Sep. 2010. O. Ljungkrantz, K. Akesson, M. Fabian, and Chengyin Yuan, "Formal Specification and Verification of Industrial Control Logic Components," IEEE Trans. Automation Science and Engineering, vol. 7, issue 3, pp. 538–548, Jul. 2010. J. Farines, M. H. De Queiroz, V. G. da Rocha, A.M.M. Carpes, F. Vernadat, and X. Cregut, "A model-driven engineering approach to formal verification of PLC programs," in Proc. 16th IEEE International Conference on Emerging Technologies and Factory Automation, pp. 1–8, Sep. 2011. L. Seno and C. Zunino, "A simulation approach to a Real-Time Ethernet protocol: EtherCAT," in Proc. 13th IEEE International Conference on Emerging Technologies and Factory Automation, pp. 440–443, Sep. 2008. J. Robert, J.-P. Georges, E. Rondeau, and T. Divoux, "Minimum Cycle Time Analysis of Ethernet-Based Real-Time Protocols," Int. 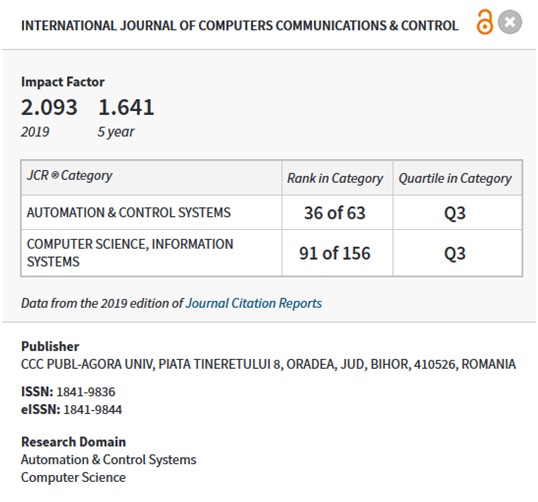 Journal of Computers, Comm. and Control (IJCCC), vol. 7, no. 4, pp. 743–757, Nov. 2012. G. Cena, I. C. Bertolotti, S. Scanzio, A. Valenzano, and C. Zunino, "On the accuracy of the distributed clock mechanism in EtherCAT," in Proc. 8th IEEE Int. Workshop Factory Communication Systems, pp. 43–52, May 2010. EtherCAT Protocol Enhancements: Amendment, ETG.1020 S(D) v0.9.1, EtherCAT Technology Group Std., Sep. 2010. AC Servo Systems with EtherCAT Interface for Rotary/Linear Motor: Instruction Manual, Sanyo Denki, Inc., Mar. 2011. Operation Manual: AC Servo Drive EDA7000 Series with EtherCAT Interface ver 1.0, Higen Motor, Inc., 2012. EtherCAT Technology Group ETG.6010, "Implementation Guideline for CiA402 Drive Profile," Feb. 2010. Single-Chip Muilti-Function 10/100Mbps Ethernet Controller with Power Management Datasheet Rev. 1.2, RealTek, Inc., 2005.